Our team of professional security guards are well trained to manage security in exhibitions. We train them so that they can control the crowd even in worst situations. They use advance technology and tools for co-ordination. Avail our services at very economical prices. MIS Secure Services (India) Pvt. Ltd.
We are looking Query for Mumbai & Maharashtra only. We cater inquires from pune and maharashta only. 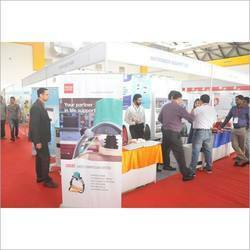 We are a reliable service provide for exhibitions security services. Our security professionals have vast experience in this domain and also we provide intensive training to endow them with the ability to efficiently handle all manners of emergencies and contingencies. ccess/Gate Control, Crowd Control, General Patrolling, Man & Material Movement administration, Emergences Procedure & Response, Medical Ambulance Facility, including bodyguard and protection services for diplomats, politicians, executives and VIP’s. - Malca-Amit provides secured transportation and storage for jewellery trade shows and exhibitions. Malca-Amit JK Logistics Pvt. Ltd. The Trade Fairs and Special Events Division of Smart Security Placement is a specialized field with Security Officers dedicated to it exclusively. They are trained in areas dealing with the public including Emergency Procedures, Crowd Control, Search and Seizure and Powers of Arrest. Events security calls for handling a huge crowd that requires focus and patience. Our highly specialized security force is well equipped and trained to handle crowded places during occasions such as events, exhibitions, seminars or high profile conferences.